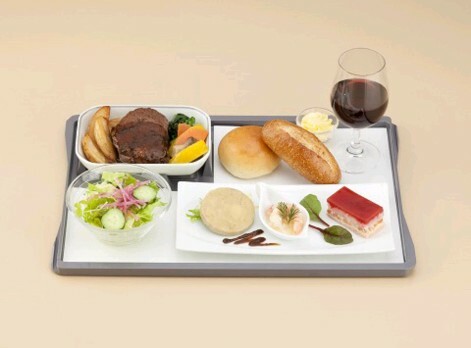 Japan Airlines (JAL) will enhance the business class meals on its Southeast Asia flights from April 1 2010. If you are flying from Japan to Singapore, Kuala Lumpur, Bangkok, Jakarta, Bali or New Delhi, you will be the lucky ones who can first try out this new dinning experience. According to JAL, the brand new menu will feature regional Japanese cuisines and casual western diner concept meal. The latest menu line up will highlight regional Japanese cuisines that use distinct ingredients and methods of preparation, a popular “casual western diner”-concept meal that seeks to evoke a sense of nostalgia, as well as a flavorful “Contemporary French” menu. As seen in the picture above, the most obvious change is now the Japanese option comes with 6-9 accompanying side dishes. This is a departure from the Kaiseki-style course-by-course meal-service. Also, there are two choices of side dishes for Western meals now. You can pick the Japanese-influenced western side dishes or have the "genuine" French sides. 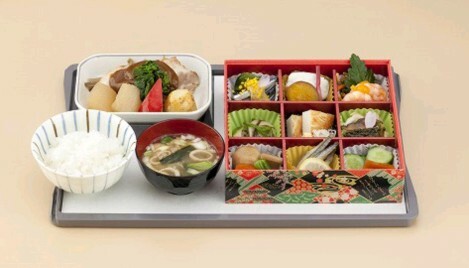 And on larger aircraft, JAL will expand the popular freshly cooked rice service too! The theme for April-June are Kagoshima, Miyazaki, Kumamoto and Kyushu regions. Themes from July will be Chūgoku region, Hokuriku region, and Tōhoku region. New JAL business class meal on SE Asia flights: Western entree and heavily Japanese-influenced western sides. Image by Japan Airlines. New JAL business class meal on SE Asia flights: Western entree and sides such as snow crab with avocado salad and beef pie. Image by Japan Airlines. 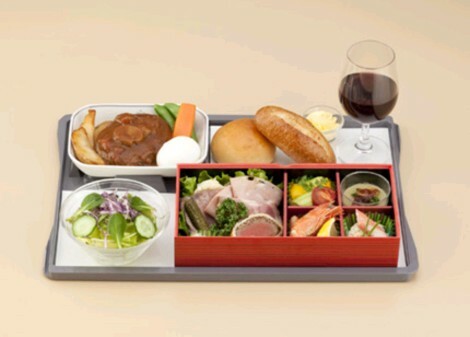 If you understand Japanese, you can find more details of this brand new JAL business class menus on the Japanese version of the press release, which provides much more information than the English one. Costing saving or service improvement?